It’s my birthday today, and I got a wonderful present a day early. 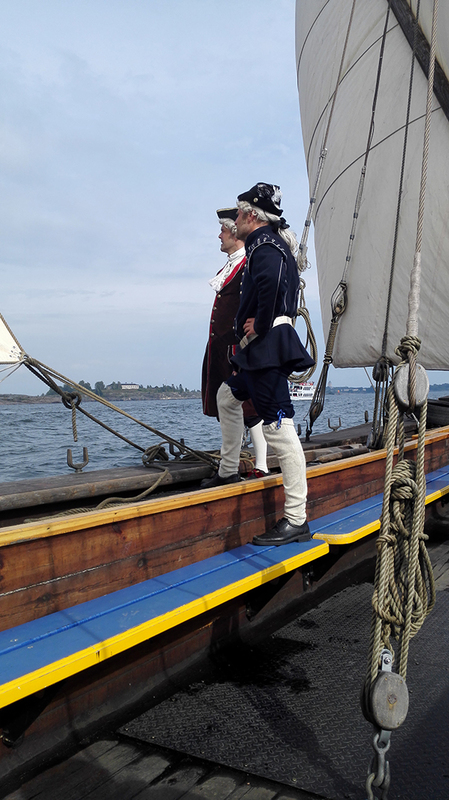 Emmi had booked us a two hour coastal cruise on Diana, a reconstructed late 18th century cannon sloop that sails from Suomenlinna. 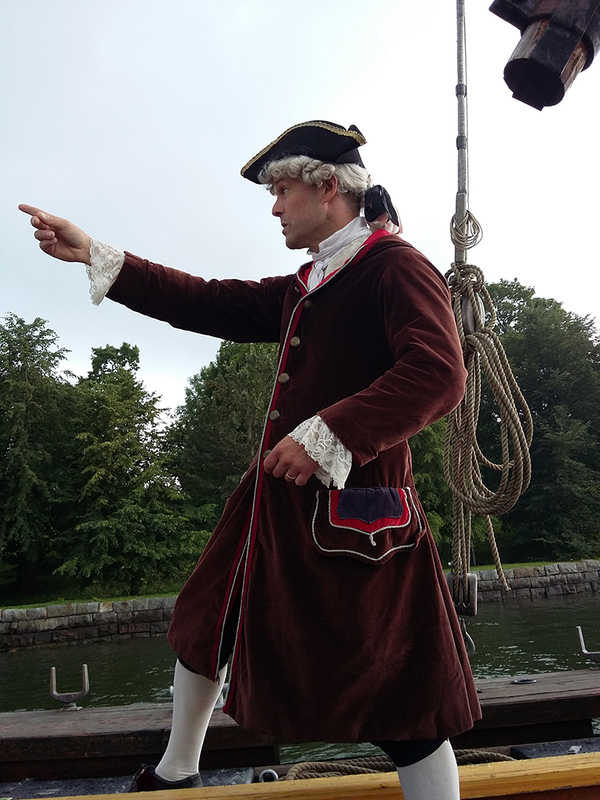 It was super fun, with the crew dressed in period clothing and in character, with the main actor playing the part of Swedish shipbuilder and scientist, vice admiral Fredrik Henrik af Chapman. Now, this sort of thing can be cheesy and awkward, but I’m happy to report that it wasn’t – the crew played their parts well, the dialogue was witty and funny and they managed to cram a lot of historical information in there as well. 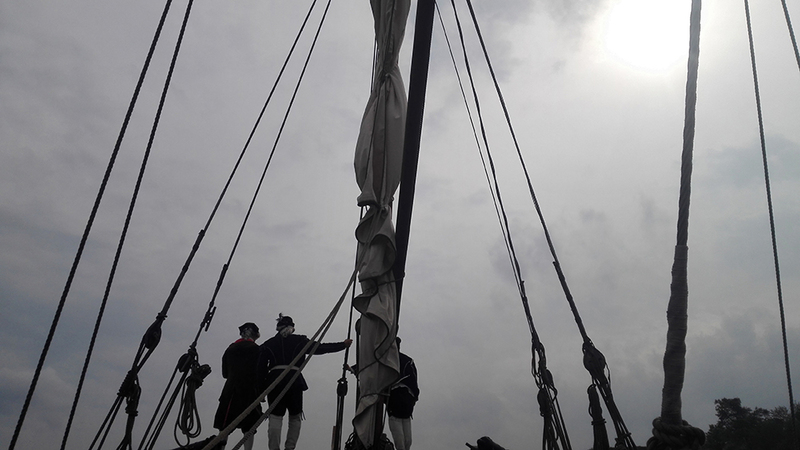 The passengers got to help with some of the easy tasks in hoisting and lowering sails, and we got to try our hand in rowing the ship as well. 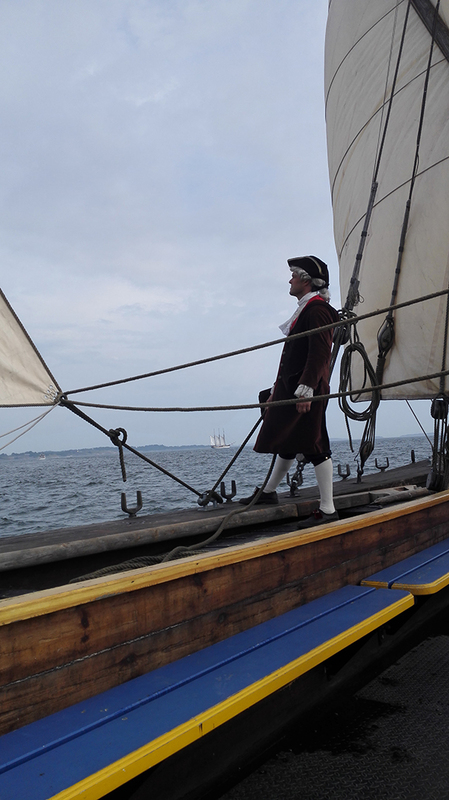 There was also flag signaling and teaching of maritime knots as an additional bonus. A gun sloop (Sw. kanonslup) had two collapsible masts and carried chase guns in both bow and stern. They were 15 to 19 meters in length and 3.5 – 4 meters in width while having draft of slightly less than one meter. 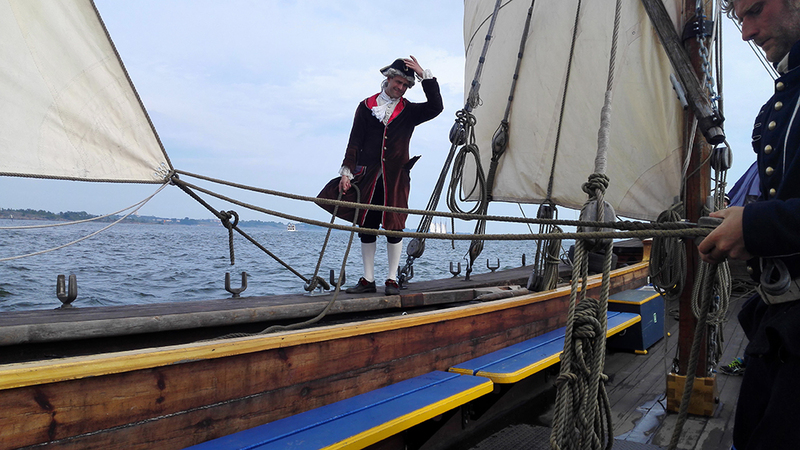 The sloops had 10 to 12 oar pairs with two men on each oar and two collapsible sloop-rigged masts. Armament consisted of a 12 or 24-pound gun at both bow and stern, though some of the first gun sloops carried only a single gun in the bow, and a single 3-pounder swivel gun on each side. 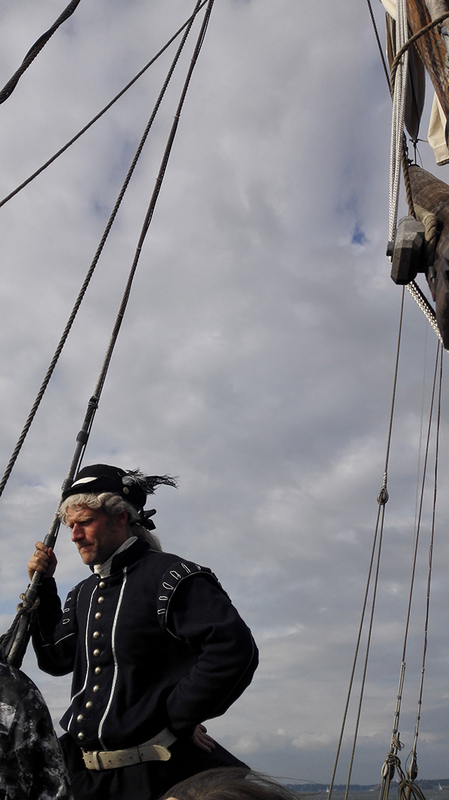 Some sloops carried carriages to allow their guns to be used as a shore battery. When not in combat, the guns were secured at the bottom of the vessel. Crew complement was from 50 to 64 men. While not exactly a pirate vessel, it definitely gave me a lot of perspective on ship size. I’ve always thought many miniature gaming ships much too small, but they actually seem to be quite accurate! I might need to buy a few for shoreline duty and dedicate the two bigger ships to boarding action scenarios – knowledge can be an expensive thing. Anyway, here are some photos of the cruise, you can click for larger versions. Also, Emmi reminded me to write that she’s the best – she most definitely is. Happy Birthday mate! Sounds like you had a great one – thanks to Emmi! Happy Birthday! What a cool present! It was, really caught me by surprise! I didn’t know such a thing even existed here. Oh wow man sounds exactly like your cup of tea haha. Happy Birthday!!!!! !